How businesses can harness the power of online consumer reviews. More than seventy percent of consumers now consult online reviews before making purchases, and they take those picks and pans very seriously. A disgruntled but ignorant customer on Yelp might have more clout than any expert guidebook, magazine article, or newspaper critic. No wonder many businesses feel terrified by the review-driven marketplace. But some savvy businesses have figured out how to navigate - and even profit from - the new world of ubiquitous customer reviews. 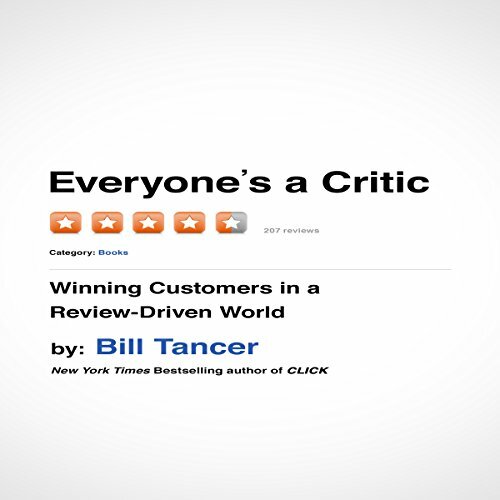 Bill Tancer takes listeners on a fascinating journey inside that world, revealing how sites like Yelp, TripAdvisor, and many others are changing the way we interact. Listeners learn, for instance, why one Los Angeles barber decided to advertise his one-star Yelp reviews; what's behind the highest-rated locksmith service in New York City; and how one scrappy hotel figured out how to become the highest rated in London. Tancer's fascinating stories and data-driven research show how online reviews can be a huge help to business owners, once they learn how to leverage them. View More In Customer Relations.